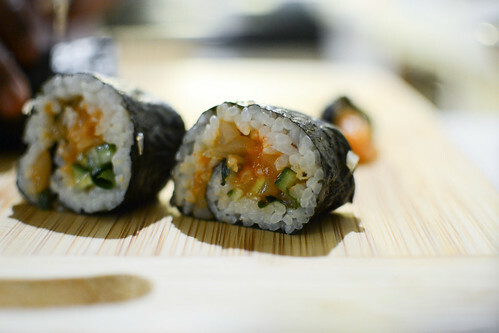 This year we decided to make sushi! The whole experience was very fun. We had so much sashimi that it wasn't even funny. 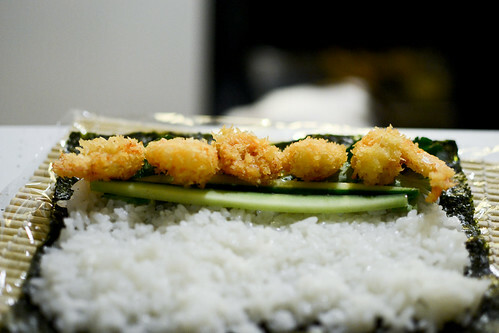 We made tempura of cucumber, onion, avocado, zucchini, and shrimp. 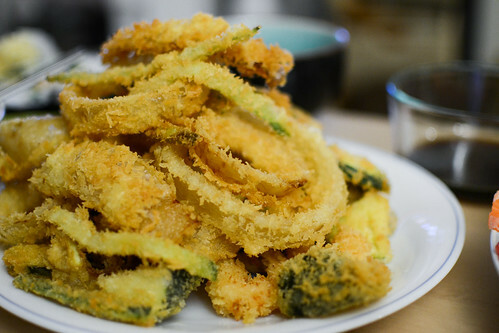 It was a lot of deep-frying. I will not be deep-frying anything for a long time from now. 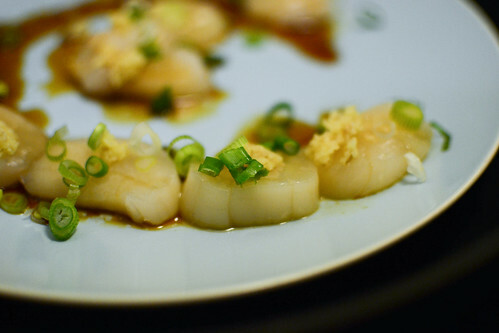 We splurged a little and got day-caught scallops. They were so fresh and rich. I could never imagine how buttery and rich scallops can get. I made a garlic and sesame dressing to go with the scallops. 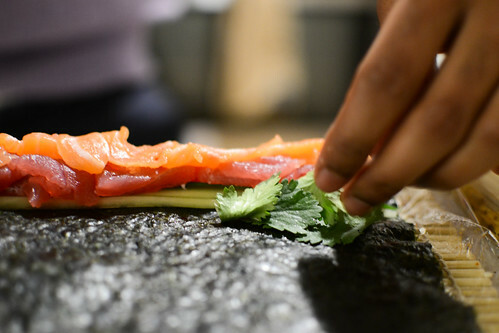 This was our first time rolling a sushi roll ever in our lives. 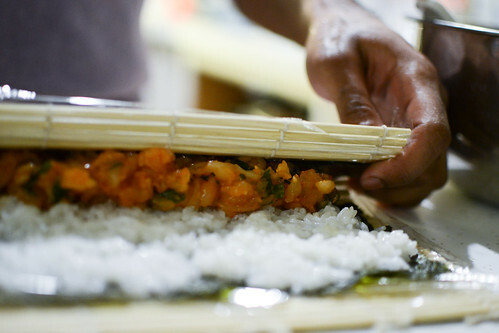 We made a spicy scallop roll with strips of cucumber. It was a lot harder than we imagined. Spicy scallop roll cut and plated. 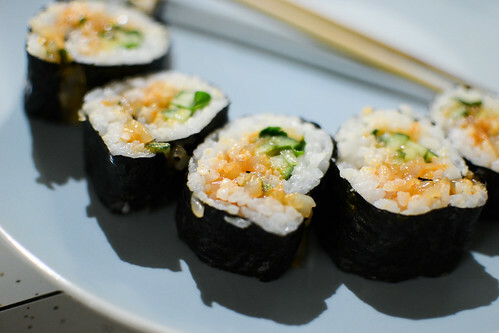 Next up, we had the salmon and tuna roll with cucumber and cilantro. Then we made our last and final roll which was the "Dragon" roll. 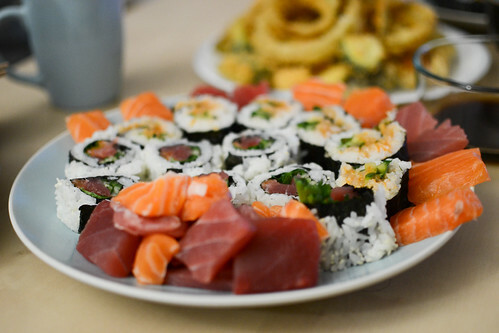 The rest were all salmon and tuna sashimi. The meal was very satisfying. 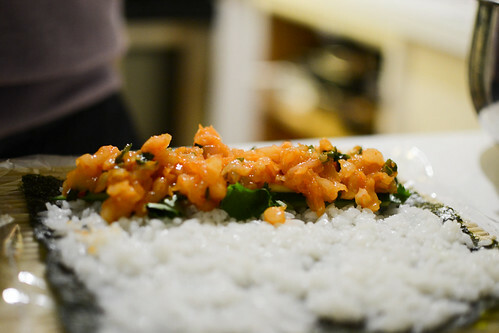 For something so simple looking as sashimi and sushi, the process of preparing it with care was quite difficult. I think I'll leave sushi rolling up to the professionals from now on. However, I will continue to eat slabs after slabs of sashimi by myself.